Did you know that October is National SIDS Awareness Month? 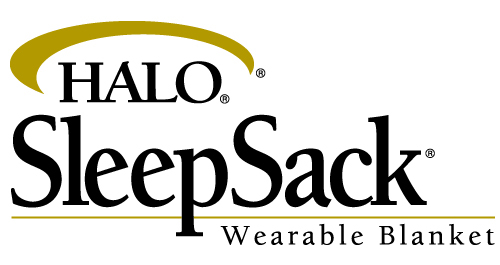 In honor of both that and the upcoming Christmas season I am running a review/giveaway with the Halo SleepSack! I recently received the size S Microfleece Halo SleepSack (wearable blanket) and I love it. I am pretty picky with my blankets – I LOVE super soft and warm blankets and the microfleece is perfect. Plus they have some really cute patterns! The nice thing about a SleepSack is it allows your baby to wear a blanket without the risk of SIDS. They are easy to find now that they (even the style I choose) are in Target. HALO will even donate $1 towards SIDS awareness for every new facebook fan they receive in October! The HALO® SleepSack® wearable blanket replaces loose blankets in the crib that can cover your baby’s face and interfere with breathing. No wonder it’s the #1 trusted choice of hospitals and parents alike. In addition to sleeping safer, the HALO SleepSack wearable blanket helps babies sleep better too. It’s a warm, cuddly blanket they can’t kick off, ensuring baby sleeps soundly throughout the night. And when baby is sleeping safe and sound, moms and dads can rest easy. I was disheartened to hear that grandparents and parents have different attitudes about safe sleep. Grandparents are much more likely to place babies on their sides or stomachs to sleep, and are more likely to place unnecessary and potentially dangerous objects in babies’ cribs, increasing their risk for Sudden Infant Death Syndrome (SIDS) and accidental suffocation. Since Grandparents often take care of their grandchildren it is important to get this information to all caregivers. • Place baby to sleep on his or her back at naptime and at night time. • Use a crib that meets current safety standards with a firm mattress that fits snuggly and is covered with only a tight-fitting crib sheet. • Remove all soft bedding and toys from your baby’s sleep area (this includes loose blankets, bumpers and positioners). The American Academy of Pediatrics suggests using a wearable blanket instead of loose blankets to keep your baby warm. • Offer a pacifier when putting baby to sleep. If breastfeeding, introduce pacifier after one month or after breastfeeding has been established. • Breastfeed, if possible, but when finished, put your baby back to sleep in his or her separate safe sleep area alongside your bed. • Never dress your baby too warmly for sleep; keep room temperature 68-72 degrees Fahrenheit. • Never allow anyone to smoke around your baby or take your baby into a room or car where someone has recently smoked. Like Little People Wealth and Halo SleepSacks on Facebook. Remember, $1 will be donated to SIDS Awareness for every new facebook fan! Leave your facebook name in your comment. Like Little People Wealth and Halo SleepSacks on Twitter. Leave your twitter name in your comment. Write a blog post about this giveaway listing the safe sleep practices (three entries). Those of you who do not have a blog can post about it on a forum. Subscribe to Little People Wealth via RSS and/or Email all Email subscribers will get notice of every giveaway during the Christmas season! A winner will be chosen via random.org on Tuesday November 9th. The winner will have 48 hours to contact me and claim their prize. The winner is Lee-Ann. Congratulations! Be sure to look in my left sidebar for current giveaways. Next post: Win Free Laser Hair Removal – Good Odds!